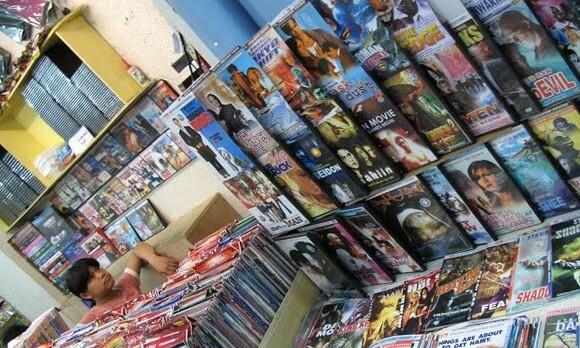 Just less than a year after Quiapo was dropped from a US government-issued piracy hot list, two anti-piracy groups want the district and eight other shopping centers back on the radar based on new evidence of continued fraudulent activity. Back in December, the US Office of the Trade Representative (USTR) removed Quiapo from its list of piracy hotspots after seeing “significant enforcement actions” that have cut down the sale of pirated goods. Separate reports from the Business Software Alliance (BSA) and International Intellectual Property Alliance (IIPA) last month have proven otherwise, saying that fake products are still being sold in that area in addition to at least seven new black market hubs. In a report submitted to the USTR, the BSA exposed a booming black market for pirated software in Quaipo, Binondo, Baclaran and Juan Luna Plaza and New Divisoria Mall at Divisoria district. “There has been little improvement in these specific areas since our past report. Vendors of counterfeit software are still there,” the BSA said. In another submission, the IIPA added Makati Cinema Square, Metrowalk and 168 Mall also in Divisoria as pirated software hotspots. It said that a major raid in August confirmed observations from earlier busts that pirated discs of programs and other software are still being sold in these areas despite the recent praise of the USTR on Quaipo. A statement from the USTR in reaction to the new evidence has yet to be made public. While Quiapo was pulled out from hot water, the Philippines is still in the latest 2013 Special 301 Report on Intellectual Property Rights released last May. The BSA is a non-profit trade group with some of the biggest technology brands globally, which include Adobe, Apple, Autodesk, AVG, Dell, IBM, Intel, McAfee, Microsoft, Oracle and Symantec. The IIPA is an umbrella association representing more than 3,200 US firms belonging to seven industry associations. Aside from the BSA, members include the Association of American Publishers; Entertainment Software Association; Independent Film and Television Alliance; Motion Picture Association of America; National Music Publishers’ Association; and Recording Industry Association of America. The USTR conducts an annual out-of-cycle review of so-called notorious piracy markets besides its yearly Special 301 Report, which assesses IPR protection in US trading partners. The 2013 Special 301 Report on IPR released last May retained the Philippines on the watch list primarily due to rising piracy on the Internet. To recall, the USTR in December last year removed Quiapo from its list of piracy hotspots, as “the Philippine government has taken significant enforcement actions that have reduced the number of counterfeit and pirated goods available for sale” in the area. Angus Slater will be tasked with helping deliver a more regional approach to product design and sales across the Asia Pacific geog.. Aimed at women between 18-32 years of age, Be Asia covers high-end, chic fashion and beauty content across the region. ..